There are some desserts to are really classic and at the same time elegant as well. One of these which I consider is in this category is a creme brulee. I love a good creme brulee but simply dread the number of calories each serving has. But then again, such desserts are to be enjoyed only once in a while! 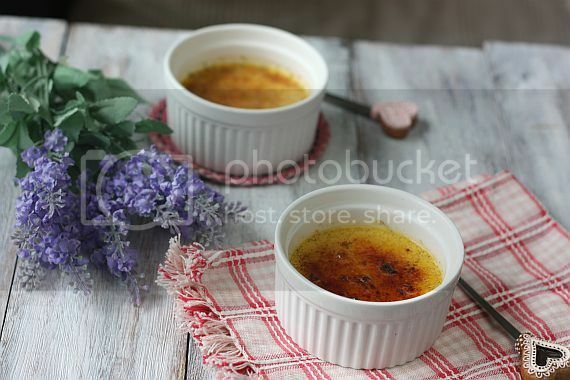 I think a brulee is the sophisticated cousin to a custard caramel. There are so many different flavours whcih you could incorporate into a brulee and not forgetting you could also add fruits as well. 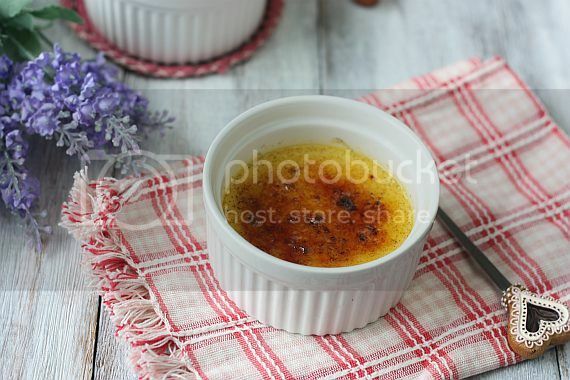 I toyed with putting together a fruit brulee but in the end decided to stick with the classics, a Vanilla Bean Creme Brulee. Such a treat too! 1) Preheat oven to 275 degrees. 2) Pour the cream into a saucepan. Then scrape the seeds from the vanilla pod and add it to the cream. Drop in the empty pod as well. Place saucepan over a low flame and heat until it starts to simmer. Remove from heat and let it sit for half a minute. 3) Whisk egg yolks and sugar in a bowl until slightly frothy (about a minute). Slowly pour in the heated cream in a trickle into the egg mixture, stirring at the same time. Sieve the mixture and remove the pod. Pour the cream/egg mixture into ramekins. 4) Place the ramekins in a baking pan. Fill the baking pan with hot water, about halfway up the sides of the ramekins. Place the pan with the ramekins in the oven for 45 minutes to an hour or so. After 45 minutes, check them every ten minutes. You'll know they're done when you can stick a knife in one and it comes out clean. Remove the ramekins from the baking pan, set them on the counter, and let them cool for 15 minutes or so. 5) Then, put them in the refrigerator and let them chill overnight. 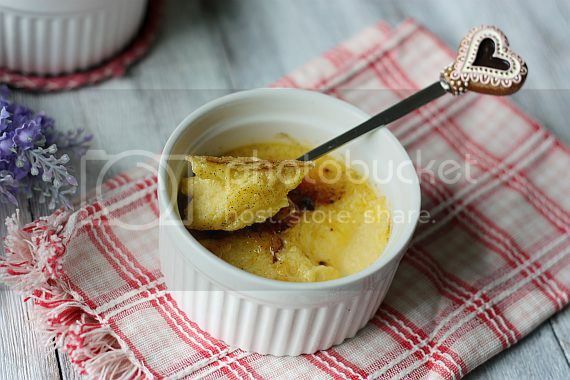 6) To serve, sprinkle a thin layer of sugar on the top of each, completely covering the custard. Using a hand-held blow torch, melt the sugar until it becomes a caramel brown colour. 7) If you do not have a blow torch, preheat your toaster oven to “Broil” and place ramekins in broiling tray filled with water (add as much water as possible to keep ramekins cool), let brown sugar caramelize (about 2min), then place ramekins in a fresh water filled baking tray to cool for a minute. 8) Garnish with berries, if desired. I am building up my courage to use the blow torch I bought!! What a classic! Beautiful clicks. 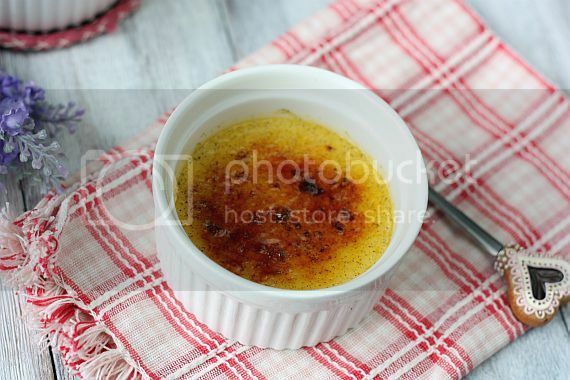 I have made the brûlée once and will definitely do it again next time I have excess egg yolks!